Today is a special day - it is the 18th of December 2007 as reckoned by the Julian calendar and there is one week to go until Christmas. Of course as reckoned according to the Gregorian Calendar it is the 31st of December and therefore the last day of 2007. And since this is the calendar recognized by our civil authorities and the only one known to the majority of us, we will all celebrate the new year tonight and recover tomorrow. It is long forgotten but the English speaking world used to begin the new year on the 25th of March. The change came in 1751 when Great Britain adopted the Gregorian Calendar, a matter of no import except to historians who if they don't watch themselves can get caught out as to the year in which a particular event occurred if it happened in January, February or March in the years before 1751. The AD/BC designation for years (or more formally "Anno Domini Nostri Iesu Christi" and "Before Christ") was first devised in the 5th century has been in common use throughout Europe since the 8th. This system has now become a relic from our unsophisticated past. Amongst the enlightened it has been replaced be CE/BCE. CE stands for Common Era or occasionally it is said to stand for Christian Era. It is easy to translate between the two systems, the actual number remains the same, all that is required is to drop the AD from the front and replace it with a CE to the rear. A process the labels on most museum exhibits have already undergone. The CE/BCE system for designating years may not last long. The ancient city of Oxford, a town that owes its very existence to Christian scholarship, is engulfed in controversy over the ringing of church bells and the imams call to prayer being broadcast through loud speakers from a local mosque. Who knows how that one will play out but pity the poor museum curators - sometime in the future they are likely to be required to translate all the dates on their exhibits yet again. And translating dates from the Gregorian calender to those of the Islamic lunar calender is a lot more tricky than dropping AD from the front of the number and replacing it with CE to the rear. To assist Microsoft has produced the Kuwaiti algorithm which can translate Gregorian dates to those of the Hijri (Islamic) calendar, well sort of. But I wouldn't be at all surprised that even with the software the process produces more headaches than tonights New Years eve over indulgence. Bad jokes and unpleasant surprises. Lucyna has had a nasty experience today while washing her sheets. I sympathize. It reminds me of the time my wife was ironing when her iron struck what she thought was a missed clothes peg but on inspection it turned out to be a large weta. This caused total mayhem, my oldest freaked, she wouldn't today, she is studying to be a nurse and is unfazed over things that would make most of us squeamish. Times change. Little Nadia, the nature lover wanted to keep it as a pet, an idea that came to nothing when Nik squashed it. Still all that is nothing compared to the experience that Betty Lawrence of Invercargill had when she pulled her cracker on Christmas day. A bad joke maybe, but no plastic novelty or paper hat. Talking of bad Christmas cracker jokes: What do you say when the cat swallows $2? From time to time a comment appears on a thread that deserves a fuller answer than can be easily be accommodated within original thread. Such is the case with this comment from Ryan Sproull on the post "If Jesus was on the New Zealand Electoral roll who would he vote for in 2008?" Ultimately, everyone thinks Jesus agrees with them. Jesus becomes an authoritative bigger version of one's own views. If you're a capitalist, Jesus would be a capitalist. If you're a Marxist, Jesus would be a Marxist. If you're racist, Jesus is racist. If you're an anarchist, Jesus is an anarchist. And so on. The discussion here makes it pretty clear exactly how pointless such conjecture is. Ultimately, everything thinks Jesus agrees with them. A great comment, the sentiments of which were echoed in other comments throughout the thread. A similar idea appeared as artwork on Jethro Tull's Aqualung album (Aqualung was a marginalized tramp with breathing problems if you are unfamiliar with it), parodying the first Chapter of Genesis. An idea expanded upon in some of the songs from that album. But the concept of Man creating God in his own image is mistaken as I will attempt to explain. Here is a fellow who sees a benefit in global warming. It will save America from conservatism. According to his reasoning it is the more conservative parts of the USA that will bear the brunt of the effects of climate change. Florida, Texas, the Carolinas and so forth will be inundated " in the lifetime of my two cats" either drowning the conservatives who inhabit those regions drowning or forcing them to flee as refugees. already parched and stiflingly hot, the rise in energy costs and the soaring temperatures will put an end to right-wing retirement communities like Phoenix, Tucson and Palm Springs. Already the Salton Sea is fading away and putting Palm Springs on notice that the good times are coming to an end. Another right-wing haven soon to be gone. The author is a compassionate fellow however. There will be much work to be done to help the earth and its residents-human and non-human-survive this man-made catastrophe, and we can’t have these future refugee troglodytes, should their personal disasters still fail to make them recognize reality, mucking things up again. My prediction is that Galveston(1), inundated in 1900 and rebuilt, will be shipping oil long after the author's cats have gone to that great cattery in the sky. And that the author's prediction Armageddon for red state America is somewhat premature. (1) The 1900 hurricane that flattened Galveston remains to this day the greatest natural disaster in the history of the United States killing an estimated 12,000 people. It is a testament to human endurance and will that the city was rebuilt and the lessons learned about storm surges from that disaster applied to save lives in subsequent storms. Who knows but it seems to be the central struggle of our times and when we awake to news like this it does seem the two may be incompatible. The BBC's Obituary can be read here. What was boxing day's carbon footprint I wonder? Nadezhda was working yesterday - boxing day. She is working in a well known appliance store, part of big chain, to help provide for her sustenance now that she has moved on from school. I did feel a bit sorry for her, so I thought I'd pop in to say "hello", thinking, in my naiveté, that nobody buys refrigerators the day after Christmas and the day would be somewhat slow and long for her. Ho ho ho, I couldn't have been more wrong - people were pouring forth from the store boxes in arms and the the checkout queues extended the length of the building. It seems a lot of our compatriots suffer major withdrawal symptoms when the stores are closed for just one day and go on a compensatory binge when they re-open. I don't get it, really, buying a microwave is surely not the same as popping down to the corner dairy for a bottle of milk, well perhaps in these days of sustainability it has become so. Not that I particularly care, on the contrary, the opportunity to work on boxing day will help little Nadia sustain herself as she pursues her education in 2008. And that is the only sustainability that we need worry about in my opinion. And I am fairly sure the planet can handle the debris of Christmas and boxing day sales. The BBC seems to think so. Things do get kind of slow around this time of year I guess. Still you always can count on finding a vicar to opine about how Christmas has more to do with "embracing universal values" than the nativity of Our Lord and Saviour, Jesus Christ. This is becoming a Christmas tradition, the media setting up debate between the liberal and conservative parts of the Church to fill up the pages in the days before Christmas. The Archbishop of Canterbury got entangled in this game last week. I guess he tries to straddle the "middle ground" and be all things to all people. Whatever do they mean it "it may not be the best time of year to bring this up"? Really. This story only has legs because it is this time of year. You have to laugh really. I have heard it all before anyway. I expect you have as well. The Queen's Christmas message is a tradition but this year it we can all gather around the computer and watch it on Youtube. The world moves on as it stays the same. Anyway only one sleep to go and if you are too excited to go to sleep tonight you can always track Santa's progress around the world courtesy of Norad. Of course if he pings you doing it he might not leave you any presents. If Jesus was on the New Zealand Electoral roll who would he vote for in 2008? This is a really meaningless question. However in recent times I have often heard the phrase "if Jesus were around today he would ....." used by some to advance their pet causes. So I have used a paraphrase without blush as the title for this post. And as we know Jesus spoke not to the rulers of men but the to humble for the most part. He was not a lobbyist for social change but sought to change mens hearts that they would not be perpetrators of injustice and would ameliorate the sufferings of those less fortunate. Changing society by changing the individual and how he or she relates to others. I suspect that Jesus were he around today would not involve himself in secular politics at all and I am almost certain he would not endorse a particular candidate, party or policy. But we live in the world for now and have to accommodate ourselves to its ways and to do what we can to shape the future for the benefit of those who will come after us - and living in a democracy we do have some, albeit minute influence when we go into the ballot box. And herein arises a divide between Christians, not the traditional denominational ones but the one between the "progressives" and "conservatives" within the Church. Interestingly this divide seems to encompass both theology and secular politics - although the correlation between the two is probably close to but not quite unity. Hi Zen. Yes, he did. That's why I thought long and carefully before deciding that the loving and compassionate expressions of pure christian love expressed by your supporters above are just the sort of thing that Jesus himself would approve of. Just like the hitting little children, cutting the benefits of the poorest and giving more money to the rich that the National Party works so hard for. Oh yes, do let me join, please. The implication would seem to be that Christians should support left wing politics if they wish to follow Christ. A very bold claim IMHO. Jesus also said " For you have the poor with you always, and whenever you wish you may do them good; but Me you do not have always.". Mark 14:7 . 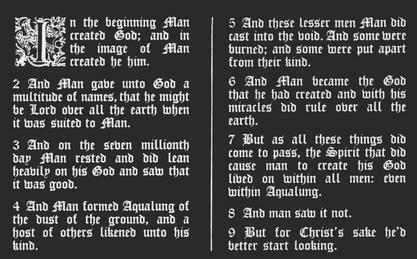 And it is clear on reading the scriptures that Christ will return long before men can build any utopia here on Earth. To be sure we have come a long way since the time of Christ in creating a more just and humane society although in many parts of the world this is not so. And it is those nations which have had Christianity at their core that have made the greatest strides in this regard. The correlation between the two will be vigorously denied in some quarters but it is self evident in looking at the state of human affairs around the world today. Where the original commenter on this exchange has gone astray is that she has forgotten that God gave us all free will. And while any reading of the Gospels most certainly tells us that if we wish to follow Christ we must look to the welfare of those less fortunate than ourselves nowhere does it enjoin us to compel others to do so. The Gospels say that we should choose to provide for the needy of our own free will - they do not say we should be forcing others to do so if they don't choose to do so on their own. Which is exactly what a lot of socialism is about - changing people by compulsion- regulations and laws, taking from the rich to give to the needy (as defined by the rulers of the day) and in the process removing the element of free will and the other elements that receive mention in the scriptures about how a Christian should tend to those in need, that is with love and discretely. This is not to say a Christian cannot support socialistic policies - of course they can, free will in action. Some of the architects of modern socialism had their politics formed by Christian conviction and who are any of us to say they were wrong in doing so. But I personally think that socialism is a very bad idea and I know it can't deliver utopia despite the hollow promises of its promoters. One of many reasons that has become apparent to me why socialism is the road to perdition is genuine cases of need often go unmet whilst those who better fit the template of the system (or more usually make themselves fit it) can do quite well with little effort. And where significant need goes unmet I have often heard someone comment "why isn't the government doing something about it". Wrong - as Christians it is up to us to do something about it. Looking to central government is looking to the wrong place. We need to look to our Lord and ask for his guidance in what we should do and how we should go about it. It just could mean lobbying our MP and appearing on Campbell live but it is far more likely and will certainly be more immediate if we as individuals can address the problem ourselves in part or in full in the spirit of Christian love. Often to correct a perceived social problem the policies of the the socialists have just created new ones. One case where this is abundantly clear is the no fault divorce laws, originally designed to make it easy for women to escape from violent marriages, a good thing on the face of it but a policy that has led to the breakdown of at least 30% of all families, with all the problems that introduces, and the majority of which were never violent. And this of course contradicts the teachings of Jesus who's statements on divorce seem fairly unequivocal. But Christians do get divorced, they are as fallen as any other and more do now that it has been made easier than in former times, usually to their financial and more importantly spiritual detriment and that of those they love. 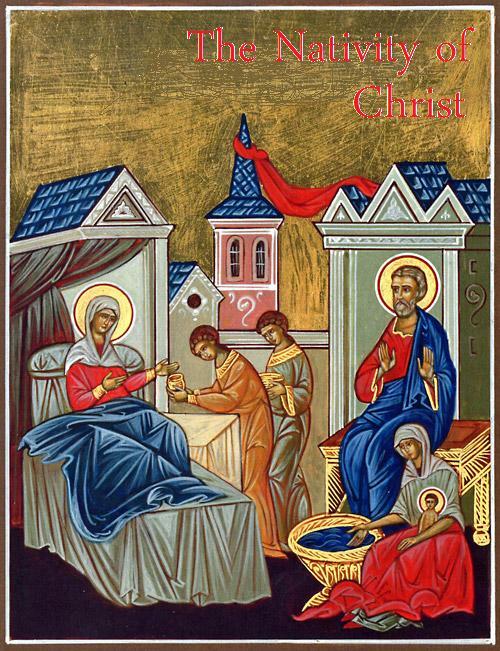 And on earth peace, goodwill toward men" (Luke 2:14) , celebrating the birth of our Lord and Saviour Jesus Christ the earth the four horsemen still ride as they ever did. We are still beset with wars.The sick are left untended, even in the most prosperous countries. Famines still stalk the earth and where aid is sent much is diverted from those for whom it is intended then misused to advance the agendas of the unscrupulous. And bodily death still awaits us all despite advances in medicine and endless hectoring from governmental health bodies about reducing our salt intake and wearing sunscreen. And perhaps part of the reason for mankind's failure to conquer the horsemen is that we forget to put God at the center of our efforts. Something we all do to a greater or lesser extent in our hubris. And this is why they never will be fully overthrown. The best we can do is mitigate the misery they cause, but this is something that we do most effectively as individuals mostly by the actions, that we take upon ourselves, with God's guidance, when we see a need and to a far far lesser extent by choosing wisely when we enter the polling booth. I for one support no political party and never will - they are all flawed. When I vote next year it will be for the best out of a lot of bad alternatives, but don't try and tell me my choice whatever it turns out to be is giving support to policies that contradict the teachings of the Gospels, of course it will, no party has policies that are fully in accordance with the scriptures - that is probably not even possible in our fallen world. I will be looking for policies that I perceive that will provide the best opportunities for the future welfare of this nations citizens, spiritually and materially in that order. You have probably heard Jeanette Fitzsimons is getting a bit sniffy over the government's purchase of new BMWs to replace the Ford Fairlanes they currently use to ferry themselves and visiting dignitarys around in. Poor David Parker, freshly back from saving the planet in Bali, returns to deal with accusations of buying planet wrecking 3 litre diesel cars. But Kiwis are innovators, surely there an eco friendly solution? Pete Bethune provides a possible answer. He is about to set off on a global circumnavigation with zero carbon footprint. His speedboat Earthrace is powered by biodiesel. Some of it derived from his own body fat(1). It seems he underwent liposuction along with two other volunteers and this procedure provided 10 litres of human body fat - enough to fuel about 15 kilometers of the 44,000 kilometer (24,000 nautical mile) journey. The way has been shown, Mr Parker. Put all those Bellamy's lunches to good use, eat well, undergo liposuction on a regular basis and provide all the fuel needed for your journeys in government beamers. (1) I hesitate to mention this but using human fat for any purpose makes me somewhat uncomfortable for reasons that, in part anyway, lie in fairly recent European history.